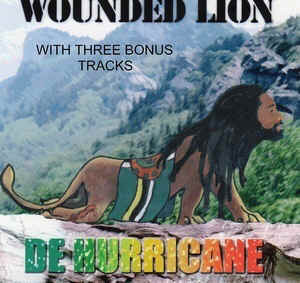 "Wounded Lion by Hurricane" is the latest CD by Cleve Jean Jacques(The Hurricane,1993,1994,1996 Calypso King of Dominica)Songs include "Wounded Lion", "I owe it to you","Cool your temper" and "Respect",all written by Pat "Musician" Aaron. 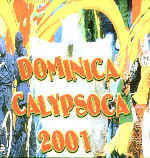 Other hits are "One Party State"(FreddyMendes), "Celebrate"(Cleave), "Inquiry"(Cleave) and "Mass Bass"(Fred Nicholas). Good accompaniment by Freddy Nicholas on bass,Fitzroy Williams and Armstrong Jones on Keyboards and Michele Henderson on backup vocals. 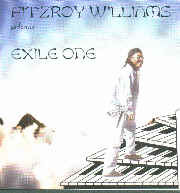 ADDED TRACKS ARE "TI-WEYO", "THE MIRACLE" (composed by Cleave) and "UNARMED BUT DANGEROUS" (composed by Pat Aaron).